How come no one told me I had a tweet in the @Baseballisms ebook? Sheesh, and it was a good one too. We would love to hear what you think about this collection of commentary from fellow baseball fans. Send a Tweet to @baseballisms with a quick message, send us an email or visit our Upload page with a video message. We look forward to growing a community of fans interested in the poetry of the game of baseball! Baseballisms; The 2009 Playoff Collection by Baseballisms.com is licensed under a Creative Commons Attribution-Noncommercial-Share Alike 3.0 United States License. We decided pretty early on that watching the Tweetstream during a game was a critical “add” to our enjoyment… and, in the absence of a TV, was actually a pretty good substitute. Thanks for all your work on this. Thanks for your comments .. you are correct. Adding social networking to the viewing experience of any live event is the next generation of enjoyment. We believe that the game of baseball lends itself perfectly to this type of interaction. Gather a group of baseball fans together and it becomes a great conversation! 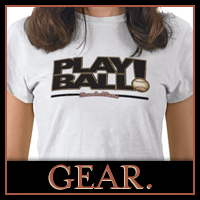 You did a great job with The 2009 Playoff Collection – it was such a different way to re-experience the baseball games. In the past season, Twitter has become part of the baseball experience for me, whether I am watching from home or live at the game. While I was at regular season games from Yankees opening day through many during the season in NYC, as well as at the Angels, Giants, Orioles, and Rangers, and ending with Game 6 of the World Series, I was Tweeting and posting pictures to Twitter during the games. It would be fun to see a future edition with pictures collected from Tweets at games, too. Shawn, Thanks! You do have a knack for picking some of the best games to attend .. I was following your twitter stream while you and Scott Jangro attended the 15 inning Yankee v. Red Sox game in which ARod hit a walkoff homerun. I will never forget how much fun that was. I recall tweeting to Scott that he might want to ScotchGuard that jersey of his before venturing into the stadium. Love the idea about including images in future versions too! That would really be a great visual addition to the book. OMG, I love the presentation! And you are right, and awesome way to re-live the postseason. The layout of the book is awesome and the nifty page-through software is really cool, too. Now I have to get back to work. Will blog this later at Why I Like Baseball, though! Hi Cecilia .. So happy that you like this collection. Hopefully you get a quick heartbeat as the final pages are turning towards Championship #27. Glad to have shared the postseason with you, and doing a podcast about your book 50 Greatest Yankee Games. Now we just have to get you on to talk about the 50 Greatest Red Sox Games! Just found this from Geekdads podcast. This is freaking awesome and a really amazing idea. Great production too. Thanks Mike … glad that you like it! Hopefully it's even more meaningful to you as a Yankee fan As you probably heard on the GeekDads podcast, this was a blast to put together and we are really proud of the way it turned out. This is fantastic. Honored to have been included and it sets a bar of funny for me to shoot for throughout the season. Glad that you like the ebook .. We hope to put together many more collections like this, so feel free to pass along any good stories that you have. Our personal stories are too good to lose in the grand history of the game!